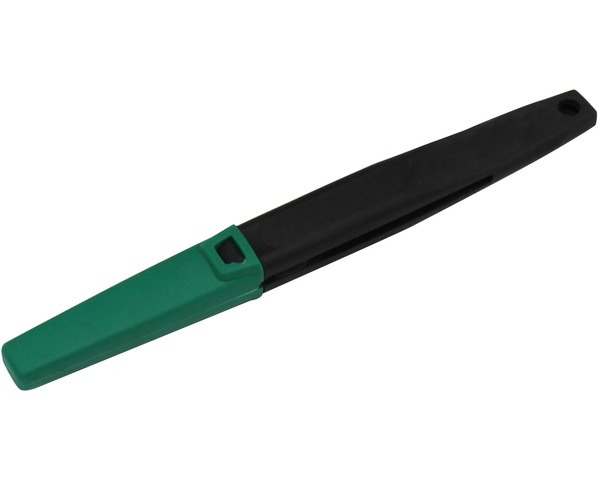 Rubber grip for comfort and helps protect delicate electronic components from static damage. Made of stainless steel with rubber grip, these tweezers are non-magnetic . Precision machined for exact alignment and a perfect grip at the tips. Excellent for electronics, jewelry, hobby crafts, and much more. One-Short progressive fine point tweezers. Shipping (you will pay for only the heaviest or largest item in your order) For example: If you order a monster truck and a package of screws, you will pay for the shipping on the monster truck only. works with this item is known to work well, or was designed to fit these cars. All warranties and guarantees, including missing items, are handled directly by the manufacturer of that item. Should there be any problem with a product, you (The Customer) will need to contact the manufacturer to obtain service. Manufacturer contact information is available upon request. We must be contacted for a return authorization number before returning items for any reason. We cannot accept returned items that have been opened or are not in their original sealed factory containers.